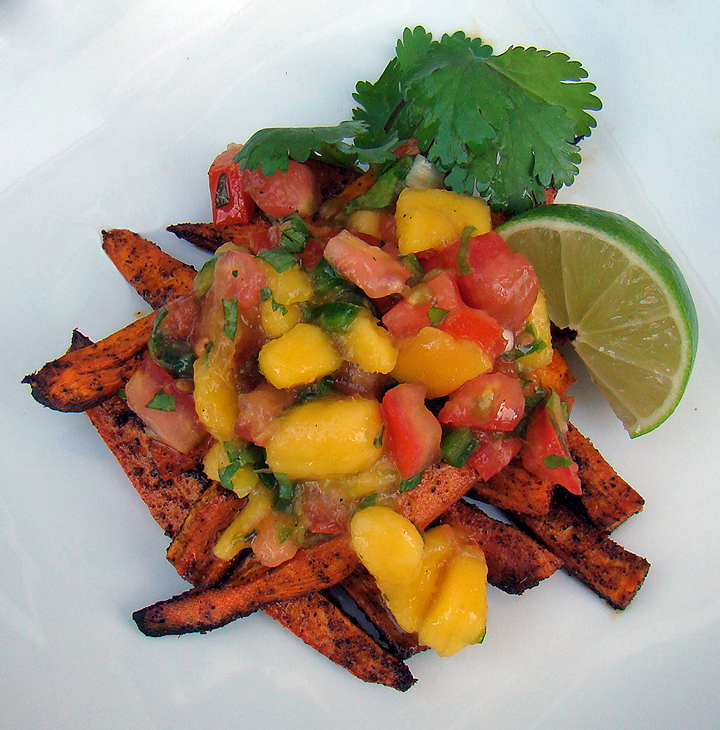 Phoenix Family Foodie Blog: San Diego Fusion Feast! We're really enjoying our Father's Day weekend with some tasty, healthy eats. In sticking with our gluten-free theme, this delicious dinner really revolves around the magical mango salsa. It's quick, easy and fresh. 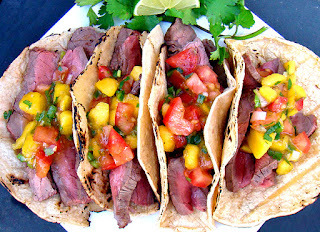 We grilled the London Broil just until it was medium rare and threw it all together in some freshly made corn tortillas! Easy enough, right? Well, we didn't stop there! We took a large yam, made some big french fry size slices, coated it in olive oil and southwest spices and baked them in the oven at 400 degrees for just about 15 minutes. Out came a terrific, healthy side dish that didn't even make it to the table...they were so yummy, it ended up being our appetizer! Season both sides of the meat with salt, pepper and garlic powder. Grill on high heat for 10-12 minutes per side until the internal middle reaches 135 degrees with a meat thermometer. Remove from the heat and let it sit for 5 minutes. Slice thinly with a large knife. Heat the corn tortillas on the grill or an open flame for about 20 seconds on each side. Spoon some of the meat into each of the tortillas. 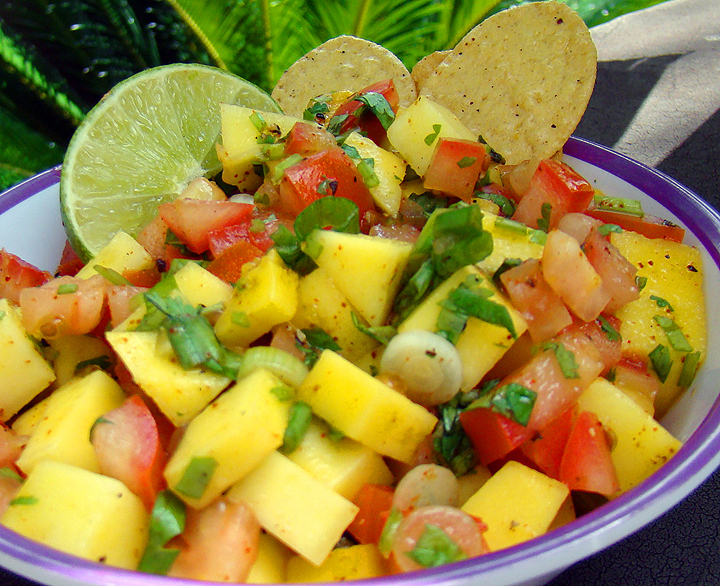 Top with the mango salsa and serve immediately.